You guys. YOU GUYS. Do you know what today is? Today is the release day of fellow Apocalypsie Liz Norris’s UNRAVELING. Now, I haven’t had the opportunity to read the book yet, but I've been dying to get my hands on a copy ever since I read the summary. Check it out and you’ll know what I mean. To celebrate the release, some fellow bloggers/writers are answering prompts that are UNRAVELING related (or blogging freely about whatever their little heart desires). Here’s the one I’m answering. When referring to thrillers: There is always some teeny, tiny obstacle to our dear protagonist's happiness. Like, say, the imminent end of the world. If you find out that the world's expiration date is somewhat nearer than anticipated, what's your next move? What would you do? And, my husband is a true believer of the zombie apocalypse. He’s a science geek, and he suspects if any type of horror/fantasy/sci-fi story came to life, it’d be zombies. Which means we’ve discussed strategy, the effectiveness of a moot in the face of a hoard (with alligators, natch), and whether or not an island would be safe. I suggested Mackinac Island, since it’s close to us, and hello, it’s like the fudge capital of the world (I totally just made that up). So what would I do if I knew the world was ending and when? I’d start with the obvious things: stalk Ryan Gosling, steal a car, bungee jump, sky dive, eat a big fat steak, tell my mom I love her, “accidentally” cut off my dad’s (hideous) beard, buy my brother a riding lawn mower (he has a weird love for lawn mowers), punch my old boyfriend in the face, tell my ex-best friend she’s my ex-best friend, and eat lots of chocolate ice cream. Then, to wrap things up, I’d watch The Notebook. So, what would YOU do if you knew the world was ending? Blog about it if you’d like, or answer in the comments! 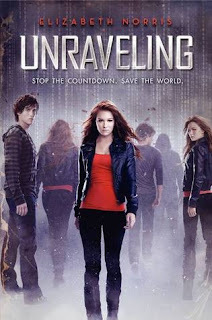 And to further celebrate UNRAVELING’s release, enter the giveaway to win a copy. Read the first 90 pages of UNRAVELING for free here (or just skip this step and go buy a copy here). 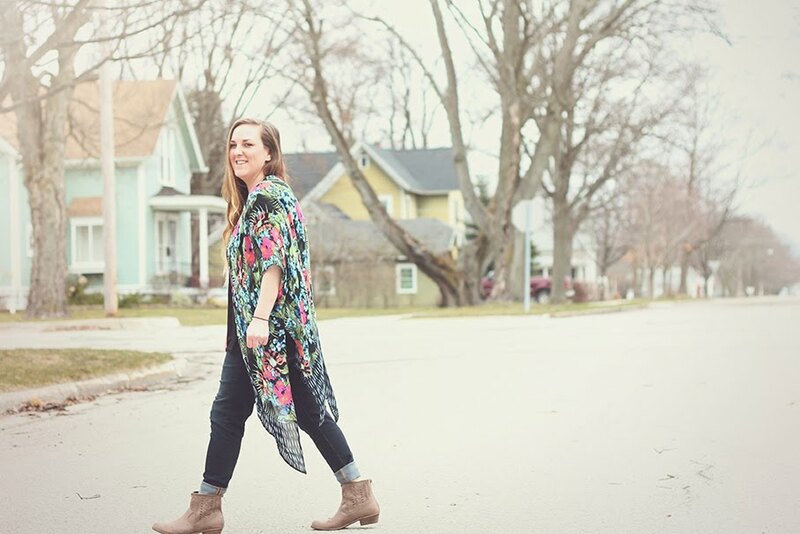 And, to learn more about Liz, check out her blog, or follow her on Twitter. 5 comments on "UNRAVELING + A Giveaway"
What would I do? hmmm maybe some of the things I don't dare to do now or that are not part of my personality. So I'd party like a rocktstar maybe haha and be reckless for a chance. That sounds like the perfect plan to me! I think if I could I like to travel. If I have savings, they are not worth it if the world is ending so, I'll spend it traveling. The world is going to end, sometime, so I say don't think twice about the chocolate ice cream now! Enjoy! That's why I keep fat jeans and skinny jeans in my closet. But the other answer is: I'd let go of fear and show my love to as many people as possible (and receive it).